Bluestacks is an app player that allows users to run Android apps on PC running on Windows or MacOS. It is also known as Android emulators for testing Android apps on the big screen. If you want to run Android apps on desktop platforms, you can use Bluestacks. Bluestacks works fine but it is heavy software and slows down the system. It is also very basic and lacks the developer-oriented features. So, you might want to know some good alternatives to Bluestacks. 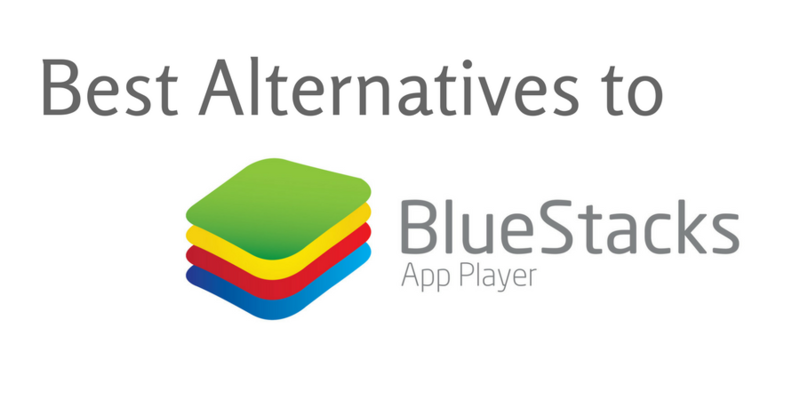 So, here is the list of 5 best alternatives to Bluestacks app player. Here is the list of best alternatives to Bluestacks. These software are also good Android Emulators to rAndroidoid apps on the desktop. Console OS is not just an Android Emulator to run Android apps, but it is much powerful for being an advanced software. It is like a Linux distribution to install on your PC along with Windows and run Android apps. Console OS allows you to run two different apps side-by-side. Before installing, you should check if your system supports Console OS. The tool has been optimised for certain chip architectures. So, it is not available for devices with NVIDIA or AMD. Check the official website for more details. NOX App Player is also a similar kind of Android emulator for experiencing Android apps on the desktop. It is based on Android Android 4.4.2. it is stable, fast and reliable. It supports Google Play Store for downloading apps. It also supports external mouse and keyboard. You can enjoy most of the Android apps including games on your PC. YouWave is based on VirtualBox and may reduce the performance of your system. If you give adequate resources to Android environment, it will run fine. This is not the free tool and you will have to pay $19.99 for this. AMIDuOS is also a notable Android emulator with good features. It has Amazon app store in place of Google Play store for downloading apps. It also supports 3D acceleration to offer you good gaming experience. You do not need a dual boot to use Android. You can enjoy all Android features including multi-finger gestures, sensors, and microphone. It supports all Android apps and offers seamless Android experience. It is not free but you get free 30 days trial. After that, you need to pay $9.99. It is also one of the popular Android Emulator used by thousands of people. It allows you to enjoy the full Android experience on your Mac or Windows system. You can download Android games from Play Store and run on your desktop. It also supports OpenGL Hardware for gaming. You can also use your mobile phone as remote control. The transition of apps from PC to mobile is also seamless. You can run all Android apps to enjoy those apps on the desktop. There are lots of other Android Emulators available for Windows and MacOS. You can look for more if you are interested in knowing the larger list. I have listed 5 good alternatives to BlueStacks. You can try any of these to test Android apps on the desktop platform. One more thing to note that few of these are paid. So, you need to pay for all the features. I recommend you to try the trial version to check the speed and performance on your system before paying for the full version. If you want me to test any Android Emulator you know, you can notify me via comment.